Classic satin organza ivory coloured dress with pearl centerd flowers. 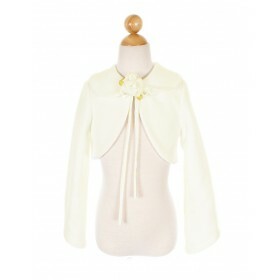 Removable flowers which are adorned with ribbon bows. 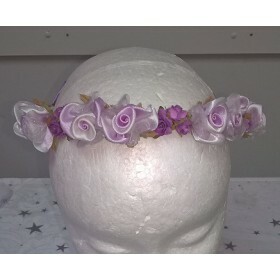 Infant sizes accompanied with a elasticated frilly 3 flowered pearl centerd head band. 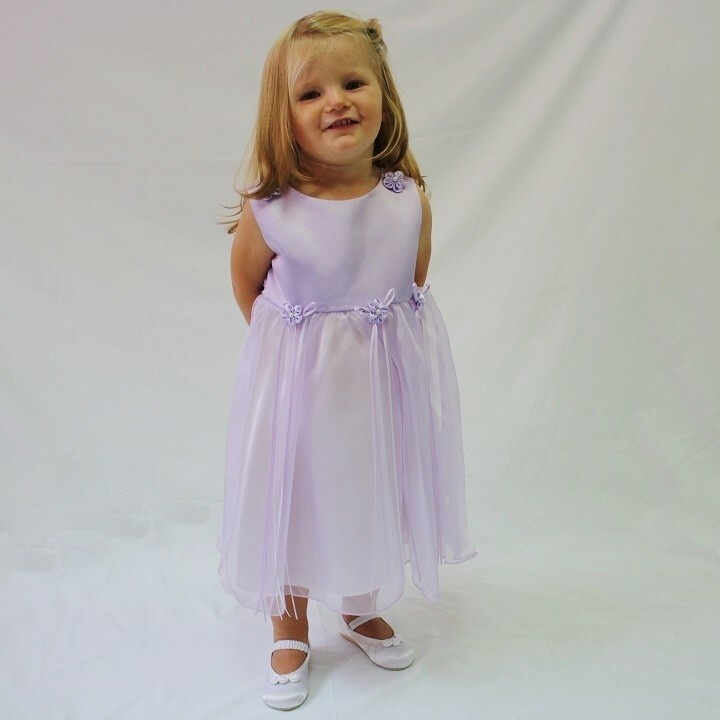 Colours available are Pink, White, Baby Blue, Black, Burgundy, Champagne, Eggplant, Lilac, Navy, Rose, Sage Green.. 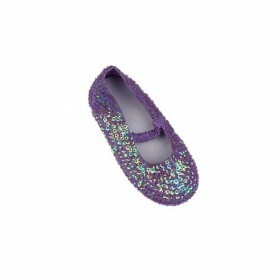 Available from Size 6months - 14 years. Please note: the picture has been taken with a petticoat underneath the skirt, which is not included.